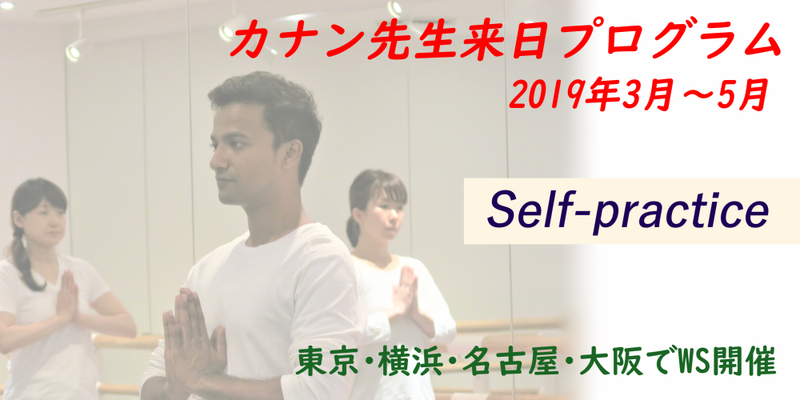 I am glad to have an opportunity to come back to Japan to teach traditional yoga in 2019. In this spring, the theme for my workshop is “Self-practice”. Self-practice is a vital part in one’s learning. Through self-practice, one can progress forward in yoga learning; one can 1) refine one’s understanding, 2) slowly grasp the undisturbed steadiness of mind, 3) gradually grow out of desires by applying the knowledge. Self-practice is important regardless of whether you are a beginner, a practitioner, or a teacher. For a yogin, practice of values such as yama, niyama is more important than practice of asana or any other physical techniques. Self-practice of values taught in the yoga scriptures will lead you to life in peace, harmony and joy. Moreover, according to the yoga scriptures, spring is the best season to start/restart yoga practice. If you would like to learn traditional yoga, if you would like to succeed in self-practice, may this be a chance for you to bring yoga in your life and to grow inside. All are welcome. Come and see the impact of mastering your mind through yoga. Copyright © 2019 だるまよがスタジオ All Rights Reserved.